Match ends, Hertha Berlin 2, Borussia Dortmund 3. 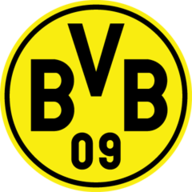 Second Half ends, Hertha Berlin 2, Borussia Dortmund 3. Substitution, Borussia Dortmund. Ömer Toprak replaces Jadon Sancho. Marcel Schmelzer (Borussia Dortmund) is shown the yellow card. Vedad Ibisevic (Hertha Berlin) is shown the red card for violent conduct. Delay in match (Borussia Dortmund). Video Review. Manuel Akanji (Borussia Dortmund) wins a free kick in the defensive half. Foul by Karim Rekik (Hertha Berlin). Goal! 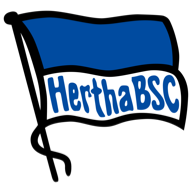 Hertha Berlin 2, Borussia Dortmund 3. Marco Reus (Borussia Dortmund) right footed shot from the centre of the box to the bottom right corner. Assisted by Jadon Sancho. Offside, Hertha Berlin. Niklas Stark tries a through ball, but Vedad Ibisevic is caught offside. Substitution, Hertha Berlin. Fabian Lustenberger replaces Ondrej Duda. Offside, Borussia Dortmund. Raphael Guerreiro tries a through ball, but Marco Reus is caught offside. Thomas Delaney (Borussia Dortmund) hits the bar with a left footed shot from outside the box. Assisted by Raphael Guerreiro. Offside, Borussia Dortmund. Marco Reus tries a through ball, but Thomas Delaney is caught offside. Second yellow card to Jordan Torunarigha (Hertha Berlin) for a bad foul. Delay in match Marko Grujic (Hertha Berlin) because of an injury. Corner, Borussia Dortmund. Conceded by Maximilian Mittelstädt. Attempt blocked. Achraf Hakimi (Borussia Dortmund) right footed shot from the centre of the box is blocked. Assisted by Jadon Sancho. Attempt blocked. Christian Pulisic (Borussia Dortmund) right footed shot from the centre of the box is blocked. Attempt blocked. Jadon Sancho (Borussia Dortmund) right footed shot from the left side of the box is blocked. Assisted by Christian Pulisic. Corner, Borussia Dortmund. Conceded by Niklas Stark. Substitution, Borussia Dortmund. Achraf Hakimi replaces Marius Wolf. Substitution, Hertha Berlin. Mathew Leckie replaces Davie Selke. Substitution, Hertha Berlin. Vedad Ibisevic replaces Salomon Kalou. Jordan Torunarigha (Hertha Berlin) is shown the yellow card for a bad foul. Marius Wolf (Borussia Dortmund) wins a free kick on the right wing. Substitution, Borussia Dortmund. Raphael Guerreiro replaces Jacob Bruun Larsen. Offside, Borussia Dortmund. Christian Pulisic tries a through ball, but Jacob Bruun Larsen is caught offside. Attempt missed. Christian Pulisic (Borussia Dortmund) left footed shot from the centre of the box misses to the right. Assisted by Marius Wolf. Attempt saved. Christian Pulisic (Borussia Dortmund) right footed shot from the centre of the box is saved in the bottom right corner. Assisted by Abdou Diallo. Ondrej Duda (Hertha Berlin) wins a free kick in the attacking half. Attempt missed. Christian Pulisic (Borussia Dortmund) right footed shot from the centre of the box is close, but misses to the left. Assisted by Jacob Bruun Larsen. Attempt missed. Manuel Akanji (Borussia Dortmund) header from the centre of the box misses to the left. Assisted by Marco Reus with a cross following a set piece situation. Offside, Hertha Berlin. Niklas Stark tries a through ball, but Ondrej Duda is caught offside. Attempt missed. Niklas Stark (Hertha Berlin) left footed shot from the centre of the box misses to the left following a corner. Corner, Hertha Berlin. Conceded by Marius Wolf. Attempt missed. Maximilian Mittelstädt (Hertha Berlin) left footed shot from outside the box misses to the right. Assisted by Arne Maier following a corner. Corner, Hertha Berlin. Conceded by Abdou Diallo. Corner, Hertha Berlin. Conceded by Thomas Delaney. Attempt missed. Jadon Sancho (Borussia Dortmund) right footed shot from outside the box misses to the right. Assisted by Abdou Diallo with a through ball. Attempt blocked. Christian Pulisic (Borussia Dortmund) left footed shot from the left side of the box is blocked. Assisted by Jacob Bruun Larsen. Offside, Hertha Berlin. Marko Grujic tries a through ball, but Salomon Kalou is caught offside. Marko Grujic (Hertha Berlin) hits the right post with a right footed shot from the centre of the box. Assisted by Salomon Kalou following a fast break. Foul by Dan-Axel Zagadou (Borussia Dortmund). Salomon Kalou (Hertha Berlin) wins a free kick in the attacking half. Offside, Hertha Berlin. Salomon Kalou tries a through ball, but Davie Selke is caught offside. Attempt saved. Jacob Bruun Larsen (Borussia Dortmund) right footed shot from the right side of the box is saved in the bottom left corner. Assisted by Jadon Sancho. Niklas Stark (Hertha Berlin) is shown the yellow card for a bad foul. Foul by Niklas Stark (Hertha Berlin). Marco Reus (Borussia Dortmund) wins a free kick in the defensive half. Corner, Hertha Berlin. Conceded by Dan-Axel Zagadou. Attempt blocked. Jadon Sancho (Borussia Dortmund) right footed shot from the left side of the box is blocked. Assisted by Julian Weigl. Attempt blocked. Jadon Sancho (Borussia Dortmund) right footed shot from the centre of the box is blocked. Assisted by Marco Reus. Attempt blocked. Christian Pulisic (Borussia Dortmund) right footed shot from outside the box is blocked. Assisted by Thomas Delaney. Goal! Hertha Berlin 2, Borussia Dortmund 2. Dan-Axel Zagadou (Borussia Dortmund) header from the centre of the box to the bottom right corner. Assisted by Jadon Sancho with a cross following a corner. Corner, Borussia Dortmund. Conceded by Rune Jarstein. Attempt missed. Christian Pulisic (Borussia Dortmund) right footed shot from the left side of the box is close, but misses to the left. Offside, Hertha Berlin. Jordan Torunarigha tries a through ball, but Salomon Kalou is caught offside. Second Half begins Hertha Berlin 2, Borussia Dortmund 1. First Half ends, Hertha Berlin 2, Borussia Dortmund 1. Attempt saved. Jadon Sancho (Borussia Dortmund) right footed shot from the left side of the box is saved in the centre of the goal. Assisted by Abdou Diallo. Marius Wolf (Borussia Dortmund) wins a free kick in the defensive half. Christian Pulisic (Borussia Dortmund) wins a free kick in the defensive half. Foul by Marius Wolf (Borussia Dortmund). Attempt missed. Marco Reus (Borussia Dortmund) right footed shot from outside the box is high and wide to the right following a corner. Goal! Hertha Berlin 2, Borussia Dortmund 1. Salomon Kalou (Hertha Berlin) converts the penalty with a right footed shot to the bottom left corner. Penalty conceded by Julian Weigl (Borussia Dortmund) with a hand ball in the penalty area. Attempt missed. Manuel Akanji (Borussia Dortmund) header from the centre of the box is too high. Assisted by Jadon Sancho with a cross following a corner. Corner, Borussia Dortmund. Conceded by Karim Rekik. Attempt missed. Jacob Bruun Larsen (Borussia Dortmund) right footed shot from outside the box is too high. Assisted by Dan-Axel Zagadou. Offside, Hertha Berlin. Arne Maier tries a through ball, but Valentino Lazaro is caught offside. Offside, Borussia Dortmund. Marco Reus tries a through ball, but Christian Pulisic is caught offside. Attempt saved. Jacob Bruun Larsen (Borussia Dortmund) right footed shot from the right side of the box is saved in the bottom left corner. Assisted by Marco Reus. Dan-Axel Zagadou (Borussia Dortmund) is shown the yellow card for a bad foul. Goal! Hertha Berlin 1, Borussia Dortmund 1. Thomas Delaney (Borussia Dortmund) left footed shot from outside the box to the centre of the goal following a fast break. Attempt saved. Jacob Bruun Larsen (Borussia Dortmund) right footed shot from outside the box is saved in the bottom left corner. Assisted by Abdou Diallo. Offside, Borussia Dortmund. Marius Wolf tries a through ball, but Jacob Bruun Larsen is caught offside. Attempt blocked. Jacob Bruun Larsen (Borussia Dortmund) right footed shot from the left side of the box is blocked. Assisted by Thomas Delaney. Goal! Hertha Berlin 1, Borussia Dortmund 0. Salomon Kalou (Hertha Berlin) right footed shot from very close range to the centre of the goal. Attempt saved. Maximilian Mittelstädt (Hertha Berlin) right footed shot from outside the box is saved in the bottom left corner. Assisted by Davie Selke. Attempt saved. Marko Grujic (Hertha Berlin) right footed shot from outside the box is saved in the centre of the goal. Assisted by Valentino Lazaro.